Since I like being able to tour around places at my own pace, I booked a private city tour for my mom and I with I Can Fly Travel. As promised, I’m sharing with you bits and pieces of the tour so that you can experience it along with me. Our tour started at 9am, with our private guide picking us up from our hotel. We were scheduled to check out quite a number of places like the Jumeirah Mosque, Dubai Diera Creek, Dubai Museum, Gold Souq, Al Bastakiya, Burj Al Arab, Atlantis The Palm and many more. First stop was a quick photo op outside the much-photographed mosque of Dubai, Jumeirah Mosque. Our tour didn’t include an in depth tour of the mosque and its interiors since we were already scheduled to visit the Sheikh Zayed Grand Mosque in Abu Dhabi on another day anyway. But if you have a lot of time, you may choose to take the tour around the mosque. It usually takes about one and half to two hours. Our next stop was another photo op. This time along Jumeirah beach–with the famous 7-star hotel, Burj Al Arab, as my backdrop. (Don’t you worry, I was able to go inside and explore more this time, just on another day.) It’s one of Dubai’s most distinctive landmarks with its signature Arabian dhow sail shaped exterior visible from almost everywhere in the city. No trip to Dubai can ever be complete without taking a photo with it. 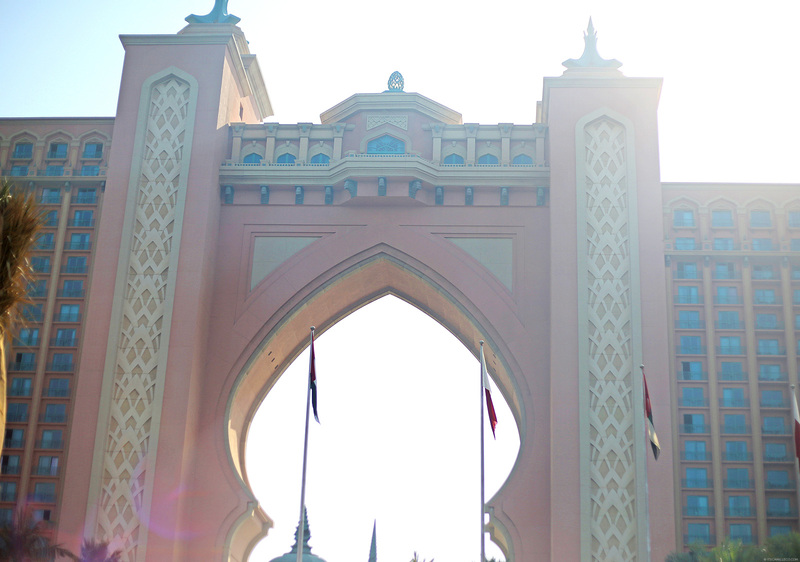 Another famous hotel at Jumeirah–Atlantis The Palm. As its name suggests, the hotel was designed with the theme of the myth of Atlantis. I wish I was able to take a better photo of its exterior. This photo doesn’t do it justice. Next up was a quick stop in front of Sheikh Mohammed’s (Ruler of Dubai) Palace. How I wish tourists are allowed to take a peek inside. I was so curious how it looks like because our guide told us so many stories about the ruling family. 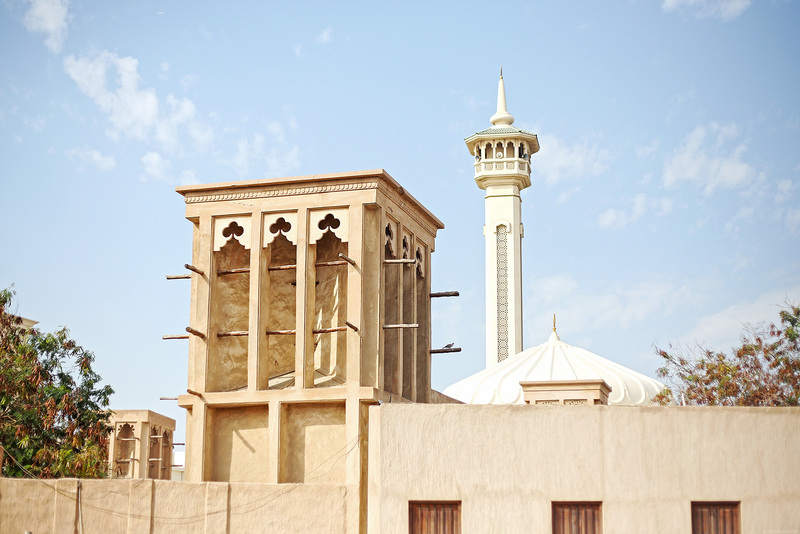 If you want to know more about Dubai’s history and culture, this is the place to visit. 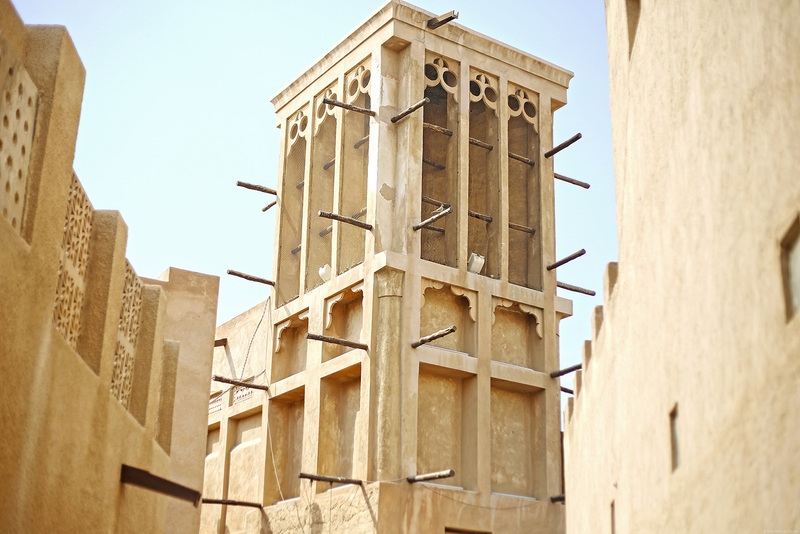 The Dubai Museum showcases Dubai’s past, its way of life before the discovery of oil and its fast transition to becoming one of the world’s most successful cities in terms of commerce, finance and tourism. I have to be honest though, if not for all the information about Dubai that I learned inside the museum, I would’ve been content just staring at it from the outside. 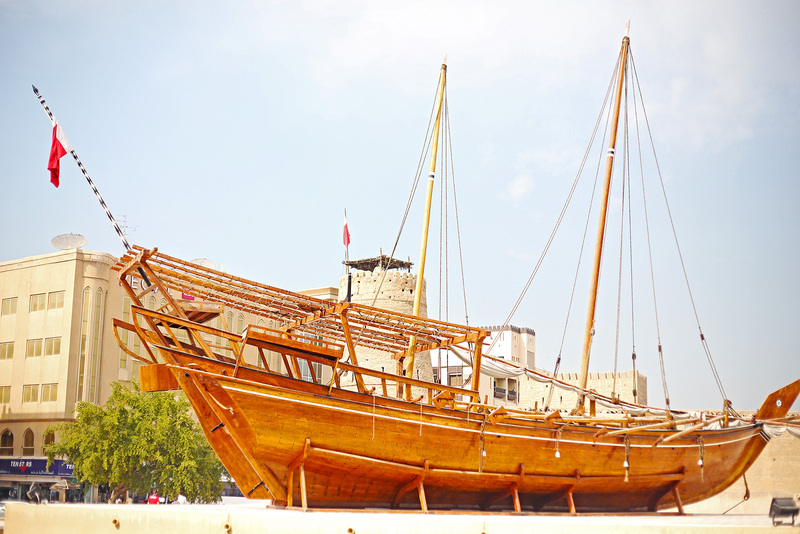 The museum is located at the Al Fahidi Fort which is the oldest existing building in Dubai so just looking at it takes you to a different time. 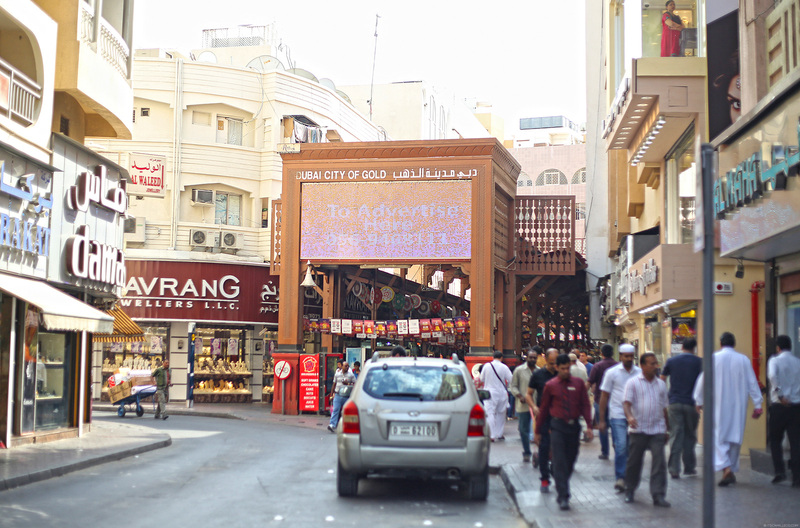 After all the sightseeing, a little dose of shopping at the gold souk was in order. 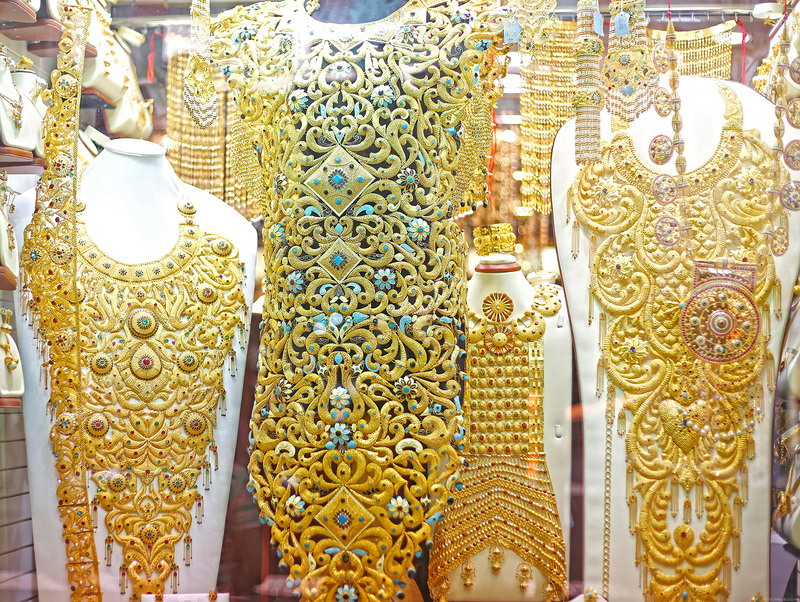 Dubai is famous for its gold. 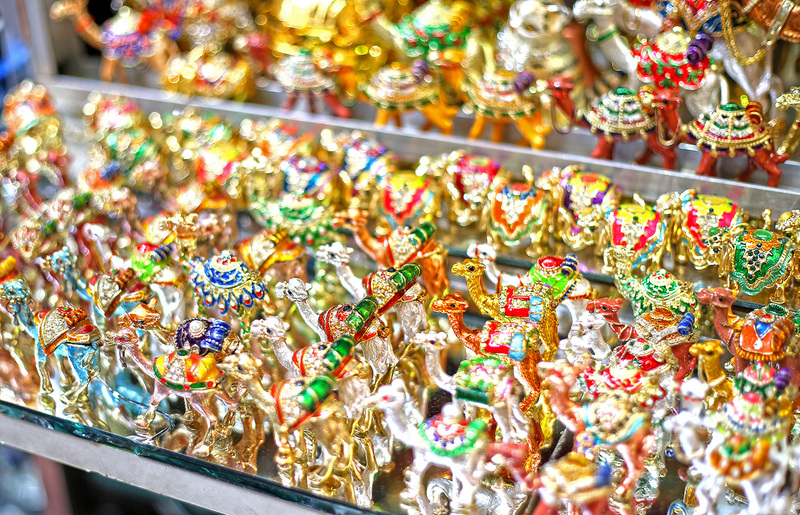 For some reason, you can get gold at cheaper prices here. 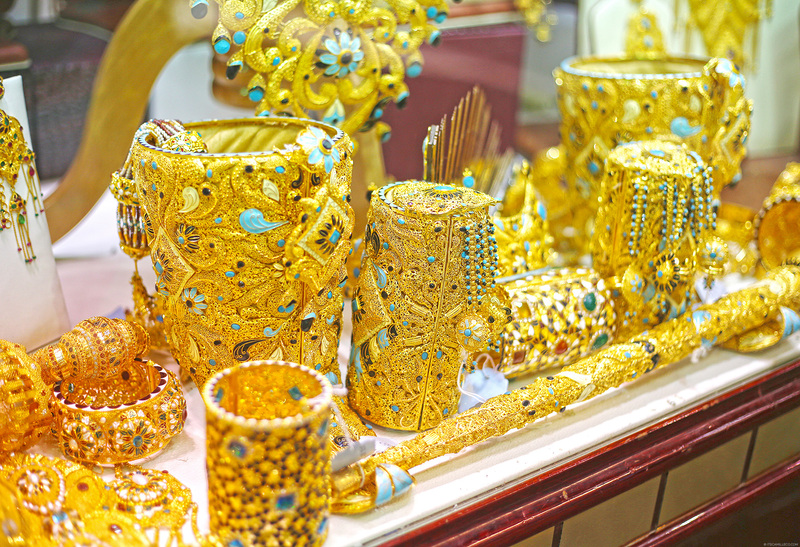 Even so, I didn’t really buy any gold here because I was overwhelmed with the selection. I never thought I’d say this ever but there was just too much gold… everywhere! I got so confused. LOL. I didn’t know where to start! 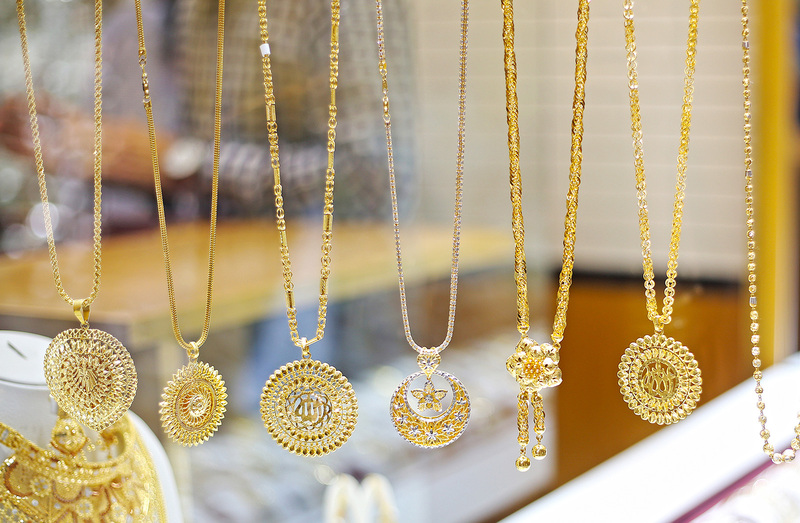 They had everything–gold necklaces, rings, bracelets, earrings, body chains, belts. All of them in impeccable designs and patterns. I couldn’t help but stare. 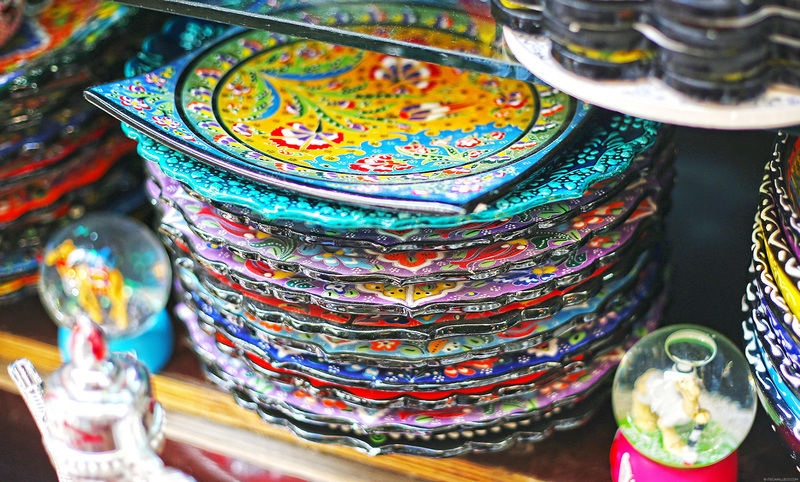 A few vendors along the small side streets were selling abayas, plates, ceramics, souvenirs and more as well. Just a tip though, make sure to haggle. Everyone haggles here, especially when it comes to purchasing gold. 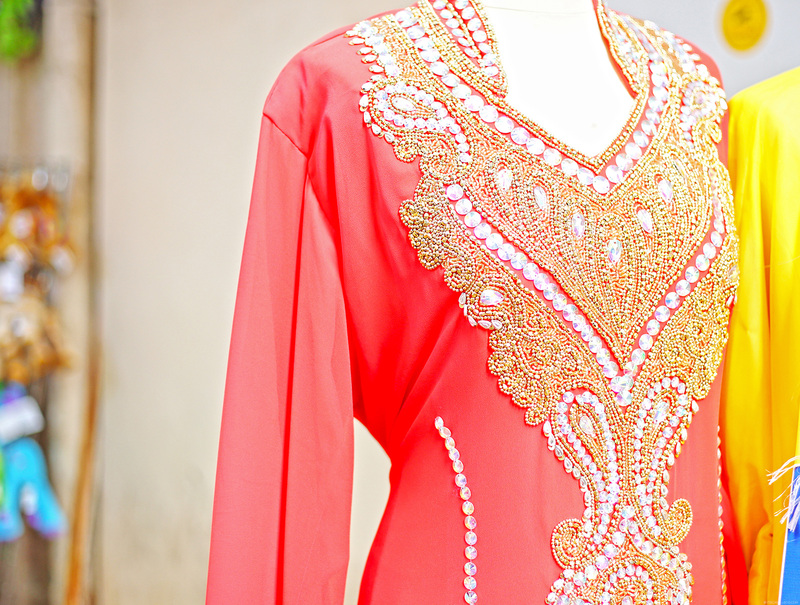 To unwind from all the chaos that greeted us at the gold souk, it’s only right to follow it up with this–Al Bastakiya. Didn’t I tell you I have more photos of this dreamy place? 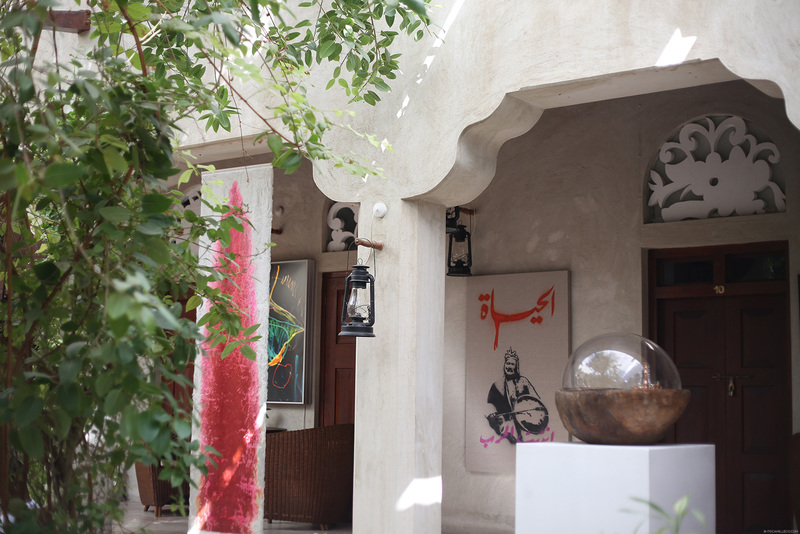 Part of our tour was lunch at the charming XVA Café which is one of the interesting establishments located in Bastakiya. 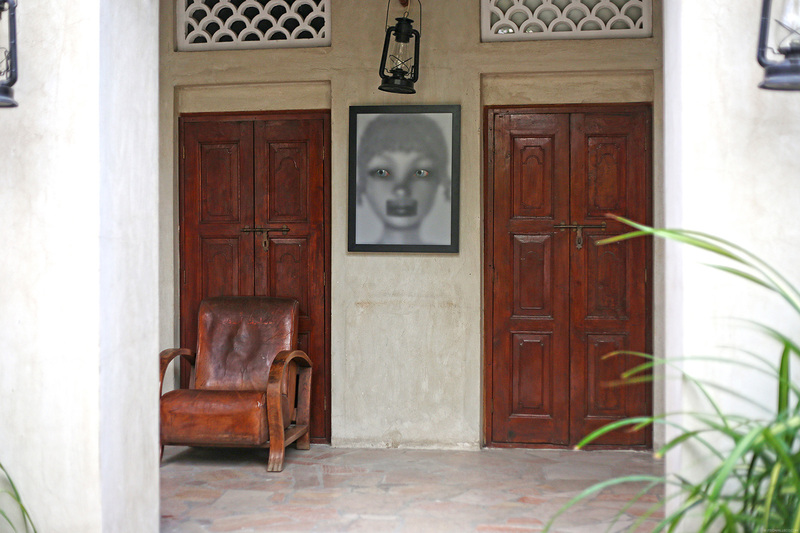 It used to be a house owned by a super wealthy family but it’s now a café, hotel and gallery. 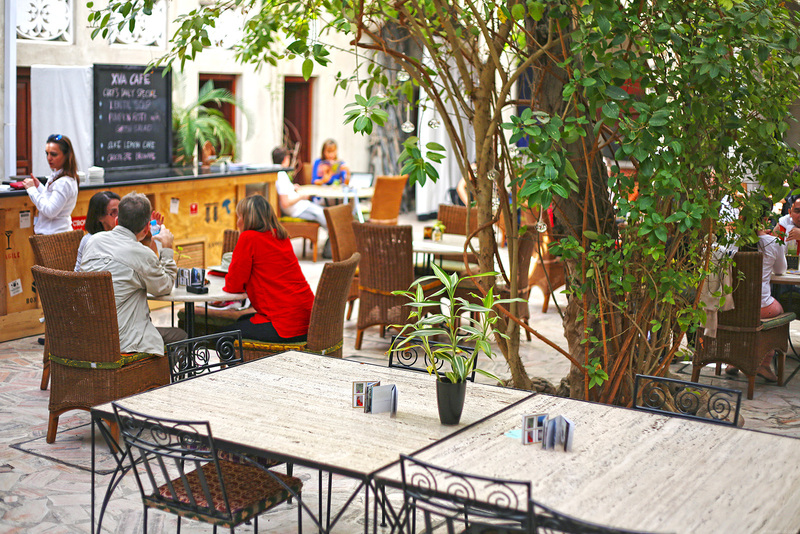 The café is located at the courtyard, which as I’ve said on my previous post, is typical of most of the historical houses here. The food they serve here is beyond delicious. 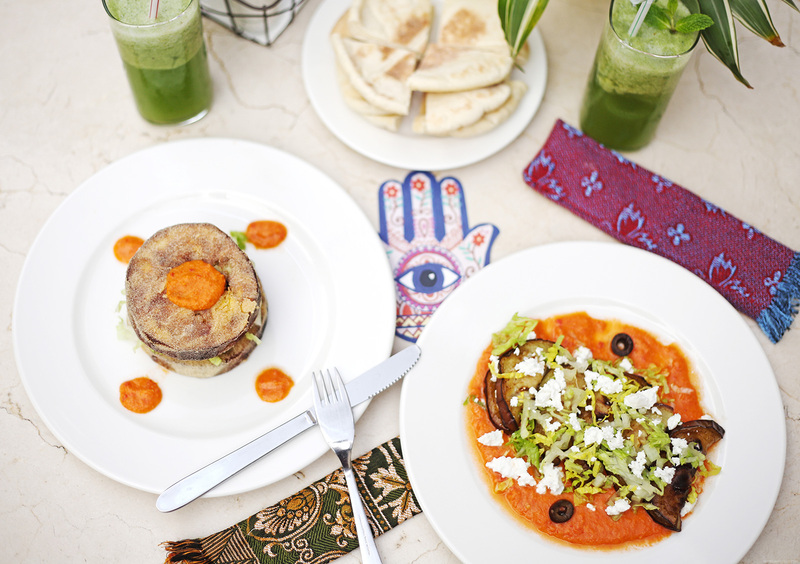 They’re all Middle Eastern vegetarian dishes but don’t let the “vegetarian” part fool you. Our meals were in no way lacking in flavor and fullness. In fact, my mom and I couldn’t stop raving about them! I was also able to take a peek of XVA’s top floor. Our server happened to be Filipino and he was kind enough to allow me to take a look upstairs. They say it’s a must to see the Bastakiya quarter from the upper floors of the houses here. Thanks to him, I was able to see why. Overall, it was a day well spent. In just a few hours, we learned so much about Dubai and it’s culture. As much as I love DIY-ing my tours whenever I’m abroad, it’s also nice to have someone in the know taking you around and giving you little tidbits you wouldn’t normally find online. If you’re interested in booking a tour with I Can Fly Travel, don’t be afraid to tweak your itinerary here and there. 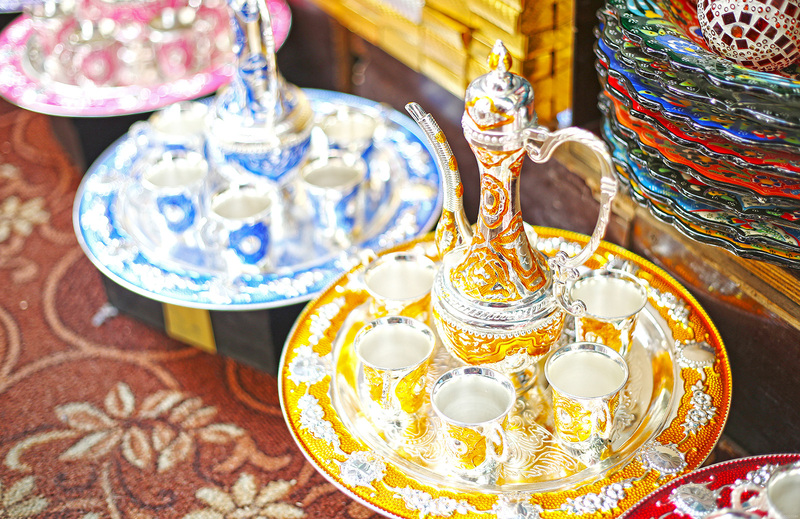 They’ve got plenty of other tours and services that can help make your stay in Dubai a blast! Well written Camille. I just loved the photos. Especially the one at the Jumeirah Beach. It is more lovely :). Dubai is marvelous place, trips to the desert are really fascinating, and diving in open sea is also a good time to spend there. Nice pictures and wonderful trip. Thanks for such nice post. That is a well-written blog about Dubai Camille. And you are very fashionable, lovely photos and I can judge you have a great time in the city. Awesome. Thank you for sharing your wonderful trip in Dubai, hopefully before the year ends I do shared mine with you. All pictures are great it’s all good in the eye. Nice pictures. Thank you for sharing the blog on Dubai. It is one of the most famous international travel destination. Dubai is a city in the United Arab Emirates known for luxury shopping, ultramodern architecture and a lively nightlife scene. That’s a good trip! You have good pictures with you posing as well! And thanks for the tip, I’ll be sure to haggle when I buy something in Dubai Souks. Wow. What Photographs, what precise information doled out! Dubai is indeed a beautiful (or shall i say, man-made miracle) emirate, but blogs like these lure any traveler to pack their bag and go NOW. Fantastic work Camille! You are inspiring! Looks like an amazing trip with an stunning pictures! Dubai is one of the most visited destination in Middle East. There places are beautiful and various activities can do here. Amazing article. The pictures that you have posted are really fabulous and you are looking stunning in these pictures. By these pictures, I’m very excited to visit Dubai. Thank you camille for sharing your experience. Wow. Amazing blog. The pictures you have posted are awesome and you are looking much beautiful. I am planning to visit Dubai this September and already arranged what I need there by the help of a local travel service provider citadeltours suggested by my friend. Hope my trip to best as like yours. Thanks Kathy! Enjoy your trip! Hi Camille, I will be visiting Dubai on July and I keep on reading all your Dubai posts over and over just to not miss out any details and tips. Unfortunately, some of your photos are not showing anymore – maybe problem with flckr. But I can picture some of it from my mind base on your stories. Oh gosh, it’s because I accidentally deleted a bunch of them a few weeks back but they’re back now :) Enjoy Dubai in July! One thing I notice from your posts is that they are well thought of. Also, you really interact with your readers by replying to comments sincerely. I think you are truly a nice person even though I have not met you yet. More travels for you, Camille! Hi camille, what camera did you use in Dubai? And did you put filter on camera lens or just editing? Im so into it that you amd your mom are professional photographers. Such amazing photos! And the gold stuffs were really irrisistible! I’m very jealous you got see to all of those views Miss Camille. More of this, please! Thanks Mary Ann! Definitely more coming! Since the time I arrived in Dubai I never appreciated the beauty that’s within. Maybe it’s just me and the current situation I’m in right now. :( But because of this, you made me thought and see that somehow there’s something I should be thankful that I was able to be here (sorry drama much :D). And how I wish I can also explore those places you’ve been to. Oh wow! Then you must visit your dad! Yes, gold is literally sold anywhere here. Nakakasawa din tignan haha! pretty!! really want to visit Dubai oneday. Looks like you had a great time here. 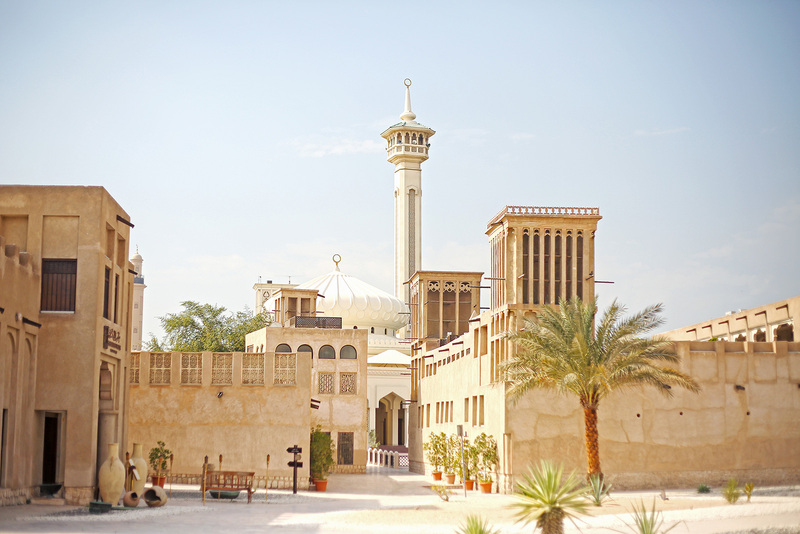 You should also visit Abu Dhabi’s great grand mosque. This outfit looks really comfy! Hi Camille! What advice will you give to short girls who want to wear midi skirts/pants? As the dubai itself is gorgeous so are you noona camille. Hope you had a good travel. Keep safe and love lots. Yes Dubai and its gold. Those items are pretty impeccable and heavily detailed! I don’t blame you Cams. It does look overwhelming. I wish I could travel to Dubai as well. 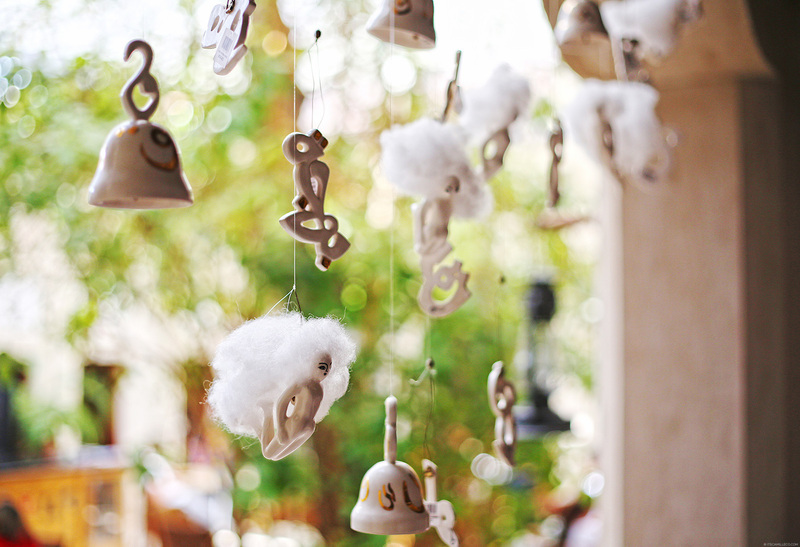 PS: I’d want that swing/chair for my garden someday. Haha! Me too! The swing is gorgeous! Such a lovely tour and just love your photos. It also looks like you had a great time touring the city and getting fun pictures. Thanks Jackie! I sure did!